Panel three has been extended upwards; panel four outwards. 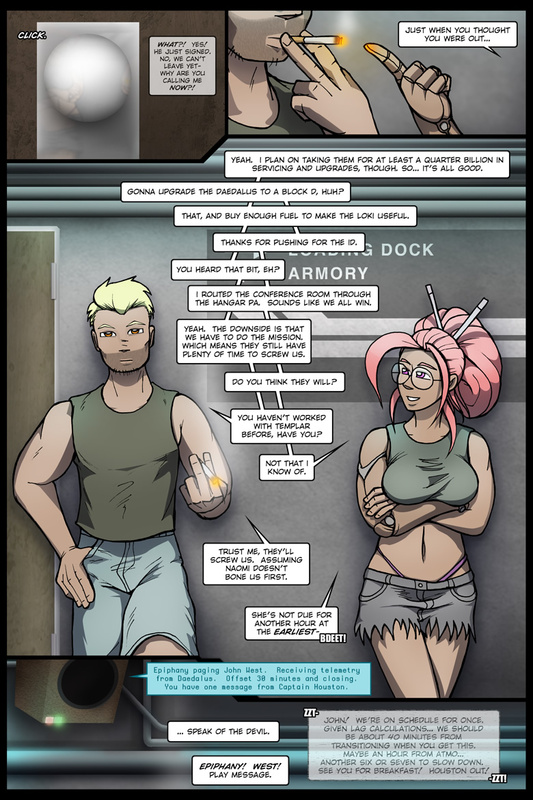 The tweaked three has been re-used over the next couple of pages, just like it was the first time around. Less linework meant less hassle the first time around, which translates into less cleanup this time around. I could nickel-and-dime to my heart’s content, but really… this is the first page of the scene in which a few minutes of work feels adequate. 108 queries in 0.816 seconds.